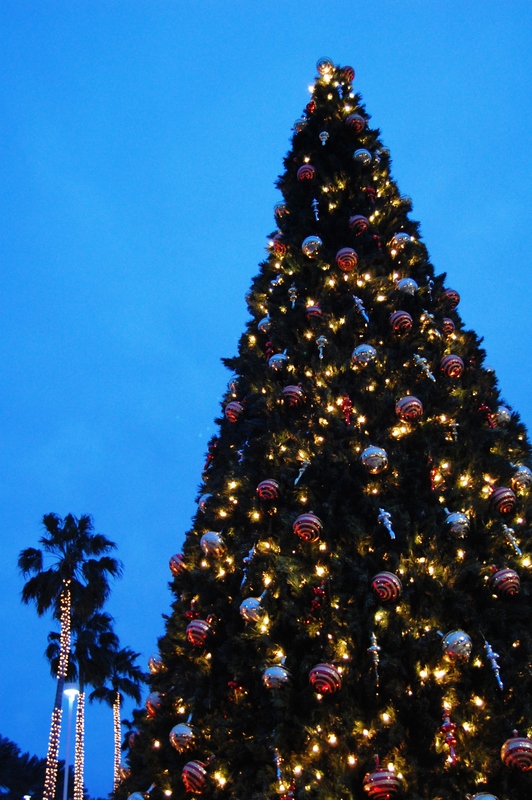 Experience the holidays in a whole new way at Moody Gardens. Our unique seasonal activities provide the best holiday entertainment in the Galveston area. Join us this year for Thanksgiving, Christmas, and New Year’s Eve! Thanksgiving: Join us Thanksgiving weekend for a shopping spectacular! The Home for the Holidays Gift Market features more than 100 of the region’s gift vendors for you to choose from. Their unique gifts include home décor, candles, craft foods, accessories and more. Get a head start with your Christmas shopping while experiencing Moody Gardens. 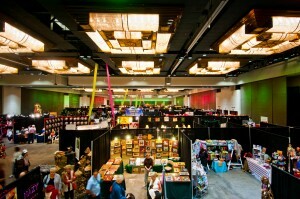 Don’t miss out on the VIP lounge access to the Gift Market! For only $35 you can spend time in our lounge that overlooks the showroom floor and enjoy specialty holiday hors d’oevres, featured beverages, wines and hot cider. The Market is open November 23 from 2:00 to 8:00 p.m., November 24 from 10:00 a.m. to 7:00 p.m. and November 25 from 11:00 a.m. to 4:00 p.m. Admission is $5.00. Also, let us do all the cooking and cleaning this Thanksgiving! Join us for the Moody Garden’s Thanksgiving Day Buffet. Christmas: The Festival of Lights is a holiday tradition for many families in the region. We throw one of the largest holiday extravaganzas in the area, with more than one million lights sparkling throughout Moody Gardens. The Festival of Lights is from November 10 to January 5. 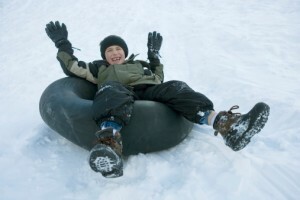 Enjoy ice skating, snow tubing, holiday films and hot cocoa along the trail. Also, don’t miss Moody Gardens presents a Magical Christmas Dinner and Show. This magical holiday experience is held in the Moody Gardens Convention Center December 14-17, 20-27. Get your tickets today. New Year’s Eve: The best New Year’s Eve party is here at Midnight in the Gardens! Enjoy non-stop entertainment as you ring in 2013! 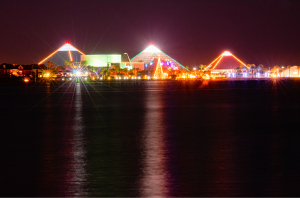 If you’re looking for family weekend getaways in Texas this holiday season, then look no further than Moody Gardens. Our holiday events in Galveston and holiday deals combine to create the perfect way to spend your season. Don’t miss out on our special Festival of Lights Arctic Package if you’re looking for a great deal on Christmas events in Texas.